Baraniecka, M.D. 1991. Section Różce against main sections of preglacial deposits in southern Mazowsze (in Polish with English summary). Przegląd Geologiczny, 39 (5-6), 254‑257. Ber, A., 2005. Polish Pleistocene stratigraphy – a review of interglacial stratotypes. Netherlands Journal of Geosciences (Geologie en Mijnbouw), 84 (2), 61-76. Ber, A., Lindner, L., Marks, L., 2007a. Proposal of a stratigraphic subdivision of the Quaternary of Poland. Quaternary International, 167-168 Suppl., 32. Janczyk-Kopikowa, Z., 1991. The Ferdynandów Interglacial in Poland. Kwartalnik Geologiczny, 35 (1), 71-79. Janczyk-Kopikowa, Z., 1996. Temperate stages of the Mesopleistocene in NE Poland (in Polish with English summary). Biuletyn Państwowego Instytutu Geologicznego, 373, 49-66. Lindner, L., Bogutsky, A., Gozhik, P., Marciniak, B., Marks, L., Łanczont, M., Wojtanowicz, J., 2002. Correlation of main climatic glacial-interglacial and loessy-palaeosol cycles in the Pleistocene of Poland and the Ukraine. Acta Geologica Polonica, 52 (4), 459-469. Lindner, L., Gozhik, P., Marciniak, B., Marks, L. And Yelovicheva, Y., 2004. Main climatic changes in the Quaternary of Poland, Belarus and Ukraine. Geological Quarterly, 48 (2), 97-114. Lindner, L., Marciniak, B., 1998. The occurrences of four interglacials younger than the Sanian 2 (Elsterian 2) Glaciation in the Pleistocene Europe. Acta Geologica Polonica, 48 (3), 247-263. Lindner L., Marks L. 2011. Stratigraphic subdivision of the Middle Polish Complex (Holsteinian and Saalian) in Poland and its equivalents in western and eastern Europe. XVIII Congress INQUA, July 2011, Bern, Abstracts. Marks, L., 2011. Quaternary Glaciations in Poland. In: Ehlers, J., Gibbard, P.L., Hughes, P.D. (Eds), Quaternary Glaciations – Extent and Chronology, a closer look. Developments in Quaternary Science, 15, 299-303. Elsevier, The Netherlands. Mojski, J.E., 1985. Geology of Poland, 1, Stratigraphy, 3b, Cainozoic, Quaternary. Wydawnictwa Geologiczne, Warsaw: 1-244. Rzechowski, J., 1996. The Ferdynandovian Interglacial and its stratigraphical position in the Middle Pleistocene of Europe. In: Turner, Ch. (Ed. ), The Middle Pleistocene in Europe, 279-294. Balkema, Rotterdam. Wagner, R., (Ed.) 2008. Tabela stratygraficzna Polski [Stratigraphical chart of Poland]. Państwowy Instytut Geologiczny, Warszawa. Wójcik, A., Nawrocki, J., Nita, M., 2004. 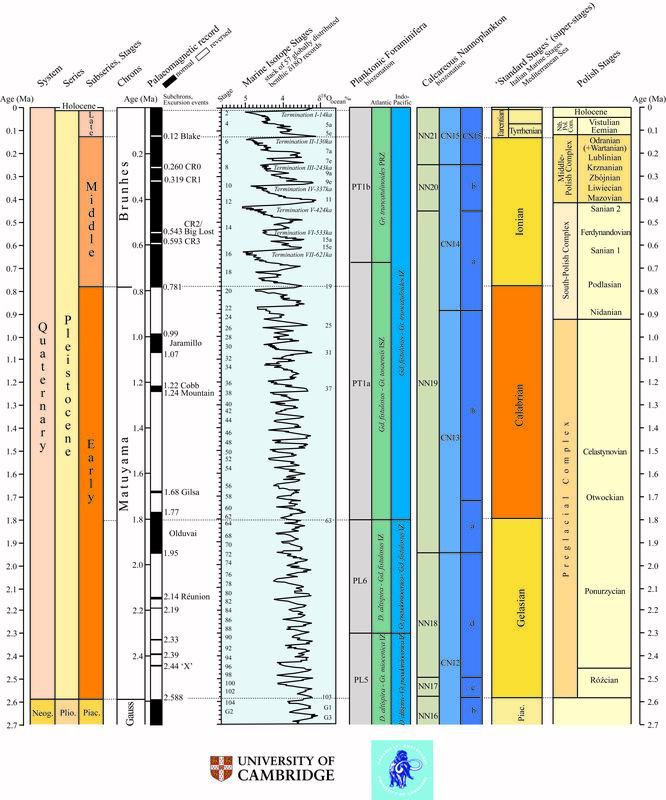 Pleistocene in the Kończyce profile (Oświęcim Basin) – sedyment Genesis and age analysis at the background of stratigraphic schemes of the Quaternary (in Polish with summary in English). Biuletyn Państwowego Instytutu Geologicznego, 409, 5-50.